What should we do if we are ready to book Darcy Ferris Photography? Click on the CONTACT tab at the top of this site. I’ll get back to you and we’ll talk, grab a cup of coffee or wine, or FaceTime if you’re not local. I want to hear about you two and what drives you wild about one another. What is required to secure our wedding date? $1000. retainer and a signed contract. The remainder is due thirty days prior to your wedding day. What price range does your wedding photography fit? You and your fiancé receive a custom quote built on your wants and needs. 95% of the time, I speak on the phone with you within a day or two of your inquiry. We walk through some questions and move forward from there. What forms of payment do you accept? Once I send you the invoice, you can pay via credit card or by check. How are our final images delivered? Your images are delivered first via an online gallery for viewing and sharing. 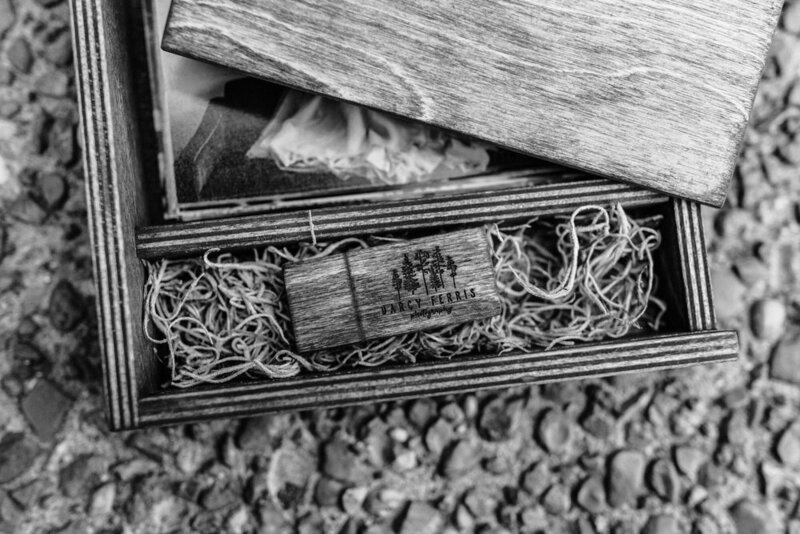 You then receive an engraved wooden box and custom USB containing all your digital photographs. 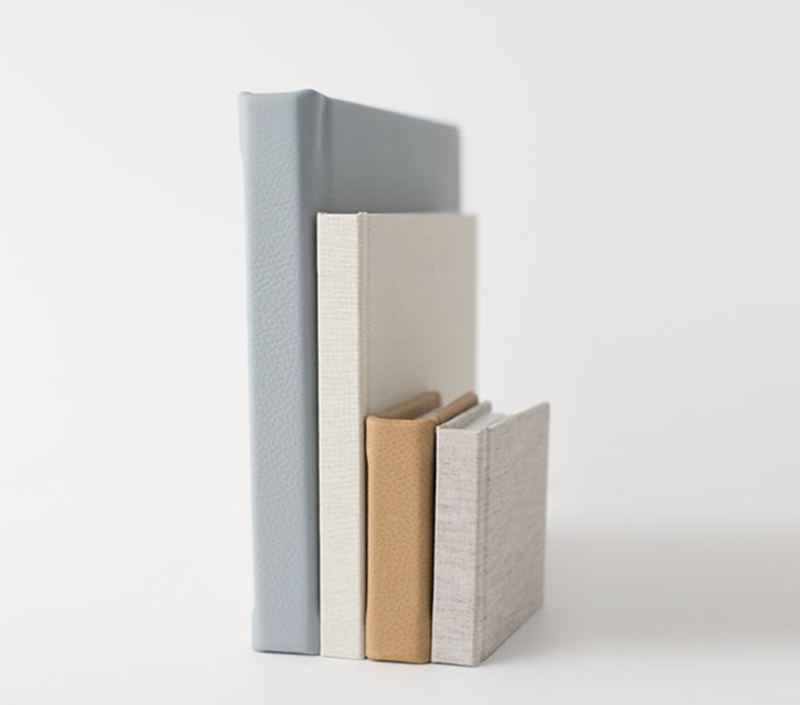 I believe it’s important for you to have a tangible product from your wedding to cherish. How many images can we expect from our wedding day? I typically deliver 50-75 per hour. Do you edit our photos? Yes. They are color corrected and adjusted for exposure. I put my creative style on every single digital photograph. Do you have any client reviews? Yes. You can read reviews on THE KNOT from my past wedding clients. Where can we print our photos? You have an option of printing professional quality prints through your online gallery or the location of your desire. Do you provide a print release? Yes. It will be on your USB drive. A print release says you are able to print your professional photos at your discretion for personal prints. You may also share you digital photos via online social media as much as you’d like. What is the turnaround time on our photos? 4 - 6 weeks for viewing and shortly after they gallery is delivered you will receive your engraved box and USB. Do you offer wedding albums and how much? Absolutely. I offer gorgeous Italian leather wedding albums in 10x10 and 12x12. I’ll show you a sample when we meet in person or FaceTime. Albums begin at $950. Are you insured? Yes. If a venue needs proof of insurance, please let me know and I’ll provide it for them. Where are you based out of and do you travel for weddings? I’m based out of Nashville, Tennessee. Yes. I travel for weddings and hoping to welcome for travel during 2019. We want you to travel to us and photograph our wedding. How do the expense for that work? I look up the current rates for flights and transportation. I include it in your invoice. Once your invoice is paid, then flights and transportation is booked from my end. You pay for the bare minimum (flight, transportation, stay). I do book the flights and rental car on my own (you can book my stay, but I am firm on booking my own flights + transportation).You can estimate costs by checking how much hotels/airbnbs typically cost in the area I will be staying, how much roundtrip flights are from Nashville (BNA) and rental cars are typically around $50 per day or less when booked in advance. Do you help with the planning process? I will always help wherever I can. Do you need a timeline written or a vendor recommendation. I’m more than happy to give my advice to make your dream day as smooth as can be.